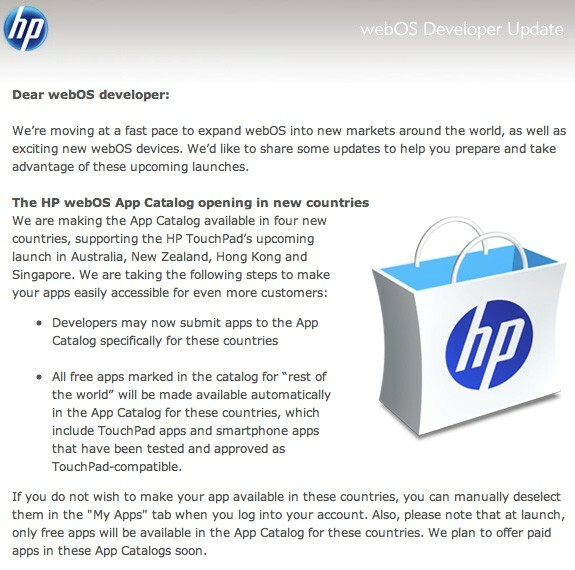 Summer's whittling away folks, and with it the promised window for Palm's HP's Pre 3. Last we heard, the flagship device would miss its launch window, but a new directive from the company suggests its release isn't too far off. 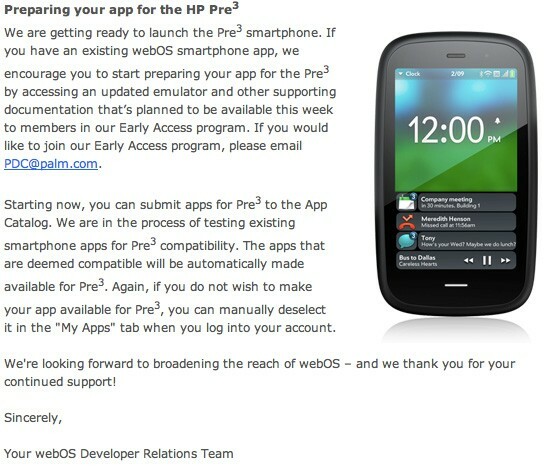 Registered webOS developers received an email about an updated emulator and deets regarding the App Catalog's newfound acceptance of Pre 3 submissions. Speaking of digital storefronts, the company also noted the latter's expansion into the following territories: Australia, New Zealand, Hong Kong and Singapore. Get this far? Hop on past the break and read the full communiqué yourself.